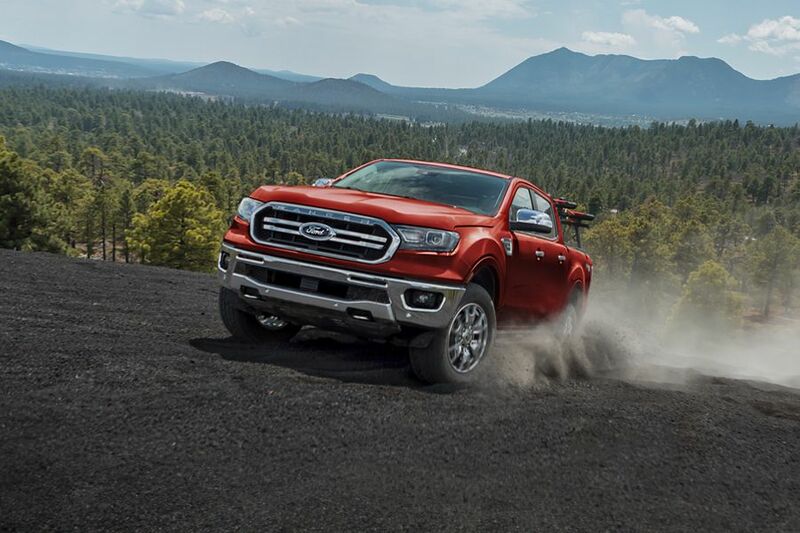 The 2019 Ford Ranger is finally available for the North American market but it faces stiff competition from the well established 2019 Chevrolet Colorado. While the Ranger is now available as a 2019 model, it has actually been around globally since 2012. So how does it compare against the younger Chevy Colorado? 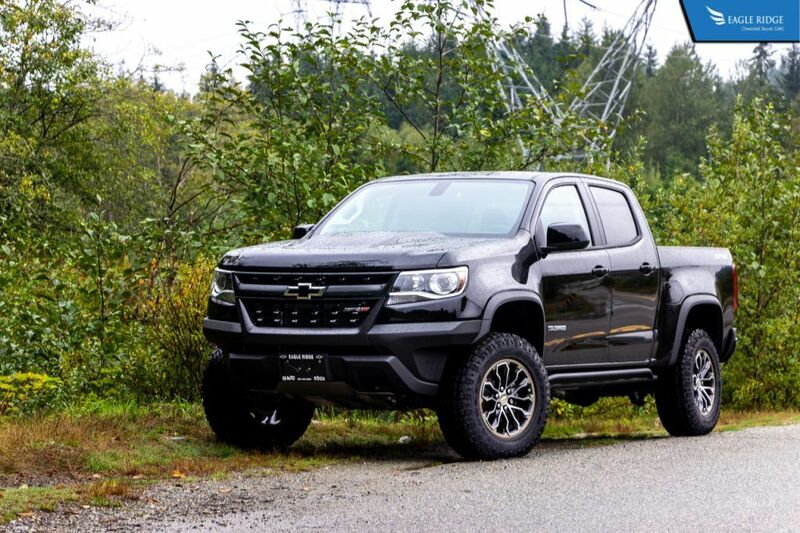 The 2019 Chevrolet Colorado is available with 3 powertrains. A 2.5L 4-cylinder, a 3.6L V6, and a 2.8L Duramax turbodiesel. The Ford Ranger however is only available with a 2.3L Ecoboost at the time of writing this article. It is powerful at 270 hp and 310 lb-ft of torque but the 3.6L V6 in the Colorado produces 308 hp and 275 lb-ft of torque. As near as makes no difference, it’s a small tradeoff. But if you’re needing more torque, the Duramax turbo diesel produces 369 lb-ft of torque. Best in class for the mid-size pickup truck segment. This diesel engine is also fuel efficient on long journeys with up to 8.4L/100km on a highway, compared to 9.8L/100km in the Ranger. 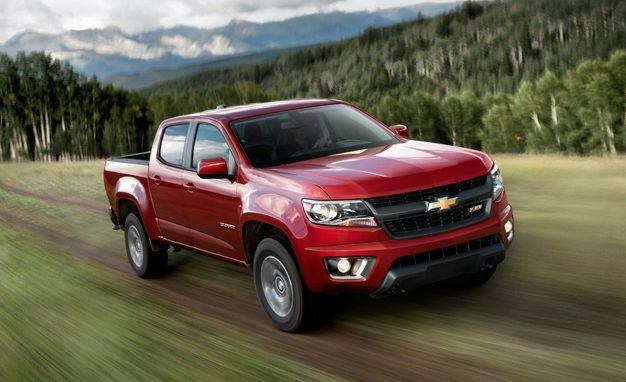 The 2019 Chevrolet Colorado starts at just $27,000 which undercuts the Ranger by $4,000 (Ranger starts at $31,000). But you’re not losing out on features. 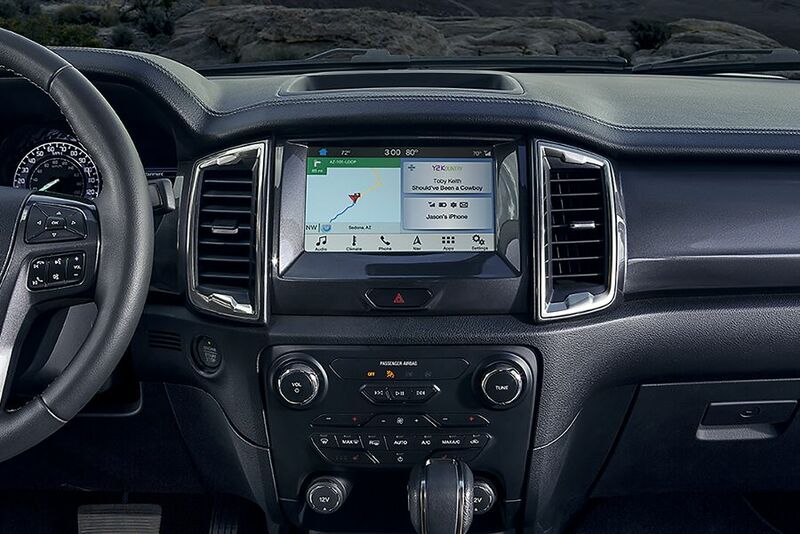 The Colorado comes standard with a 7” touch screen which is compatible with both Apple CarPlay and Android Auto. Of course the Ford Ranger is also available with Apple CarPlay and Android Auto compatibility but you have to opt for the mid-tier XLT trim with the Sync 3 package for an additional $1,500. 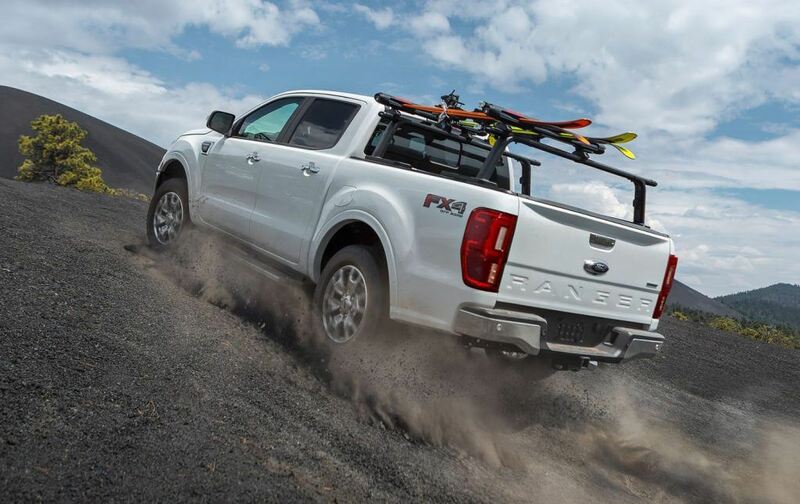 The 2019 Ford Ranger though has some advantages over the Chevrolet Colorado in terms of driver aids. The Colorado is only available with forward collision alert and lane departure warning but the Ranger is available with forward collision alert and emergency braking, lane departure warning and keep, and blind spot sensors. 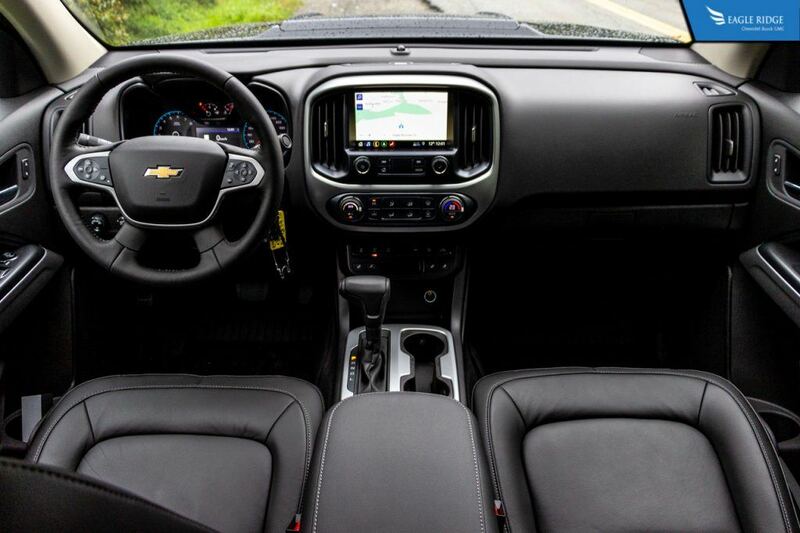 However if it’s comfort and convenience you’re after in a mid-size truck, the Chevy Colorado has the edge. It is available with a heated steering wheel, wireless phone charging, up to 6 USB ports, and money saving 2 year complimentary Lube Oil Filter changes. Trucks are all about hauling and towing. Depending on your needs, one might be more versatile than the other. The 2019 Chevrolet Colorado is available as both an extended cab or crew cab. The extended cab is only available with a 6’ long bed but the crew cab configuration is available with either a 5’ or 6’ box. The 2019 Ford Ranger is also available in extended and crew cab configurations however, the crew cab variant is only available with a 5’ box. In terms of towing, the Colorado trumps the Ranger or vice versa depending on your needs. The Ranger’s Ecoboost gas engine can tow a maximum of 7,500 lbs. The Colorado’s gas V6 can only tow 7,000 lbs. But the Colorado is also available with a diesel engine which bumps the maximum towing capability to 7,700 lbs.